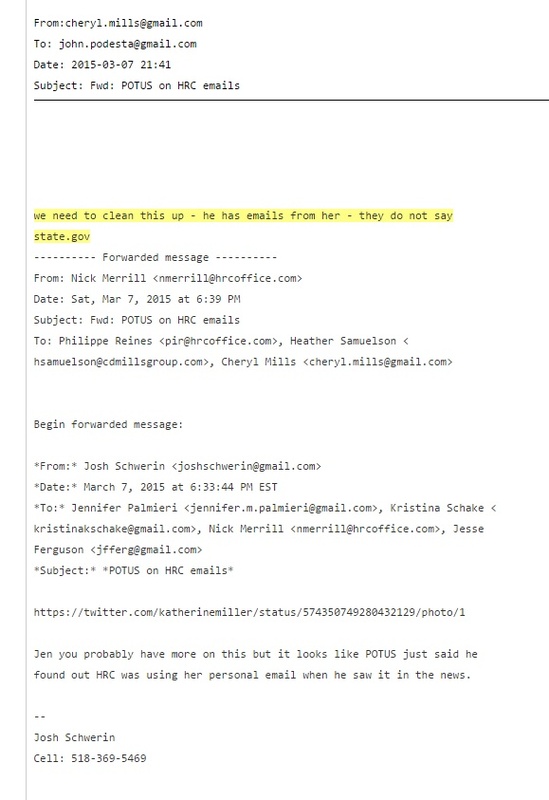 When Hillary Clinton's team learned that President Obama denied knowing that Hillary used a private email address, they knew it was going to be a problem. 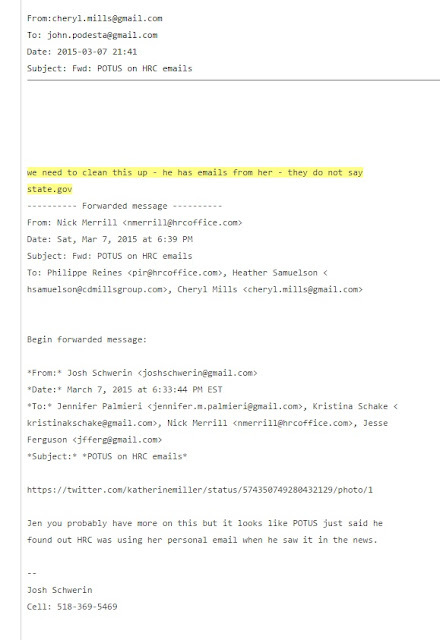 From the latest Wikileaks Podesta email dump, we learn that attorney and top Hillary confidant Cheryl Mills ordered a "clean up" of the fact that there was evidence that Obama knew about Hillary's private email use. Do they ever tell the truth? Of course none of this matters. Now that the Crony Capitalist/Cultural Marxist Media Phalanx has circled the wagons around The Demon Witch the truth and the facts of this awful harpy are irrelevant. From now until selection day all that the cud chewing masses are going to graze on is a constant stream of groping innuendo about Trump. Killary's minions have already tested the waters for their pat response to these damning Wikileaks revelations - It's the Russians! Lets nuke them!. When the main spokeshole (Robby Mook) for Clinton openly charges that Trump is a Russian agent on Fox Snooze and the interviewer (Chris Wallace) doesn't even raise an eyebrow you know that the fix is in.